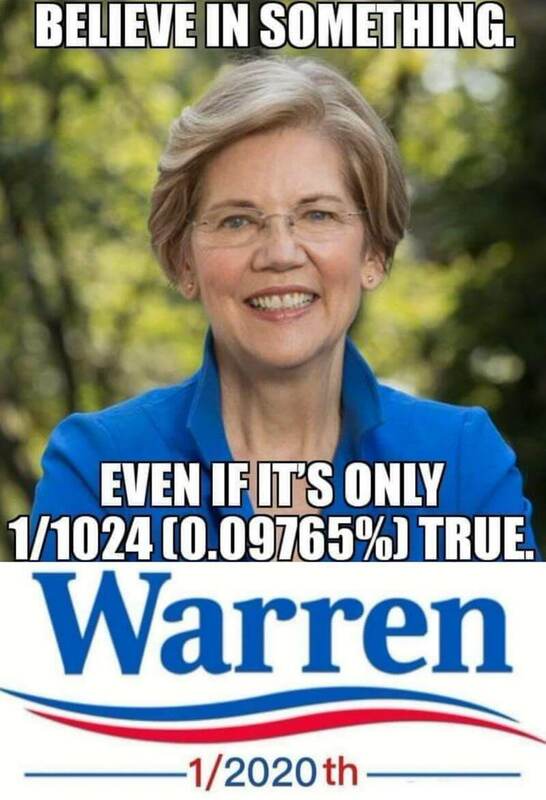 Warren responded: Oh, good. Thank you for that question. You know, it starts with the fact that we've got to recognize the threat posed by white nationalism. White supremacists pose a threat to the United States like any other terrorist group, like ISIS, like Al Qaida. Two-fer. Yup, liz and comma-lah are neck and neck. Fauchauntus has to stoke racial hatred to justify her running for president. So.... the new DNC talking point is ‘white supremacy’. Women shouldn’t be allowed to hold office or vote. I would characterize the Marxist RATs to be more closely aligned with the likes of Al Qaeda, ISIS, and/or the Taliban. All would love to destroy the USA. Elect her and Whites will be eliminated while jihadis are encouraged. The new DNC/fake news media talking point: white people are racist. Being an Indian, she can point the accusatory finger at evil whites. 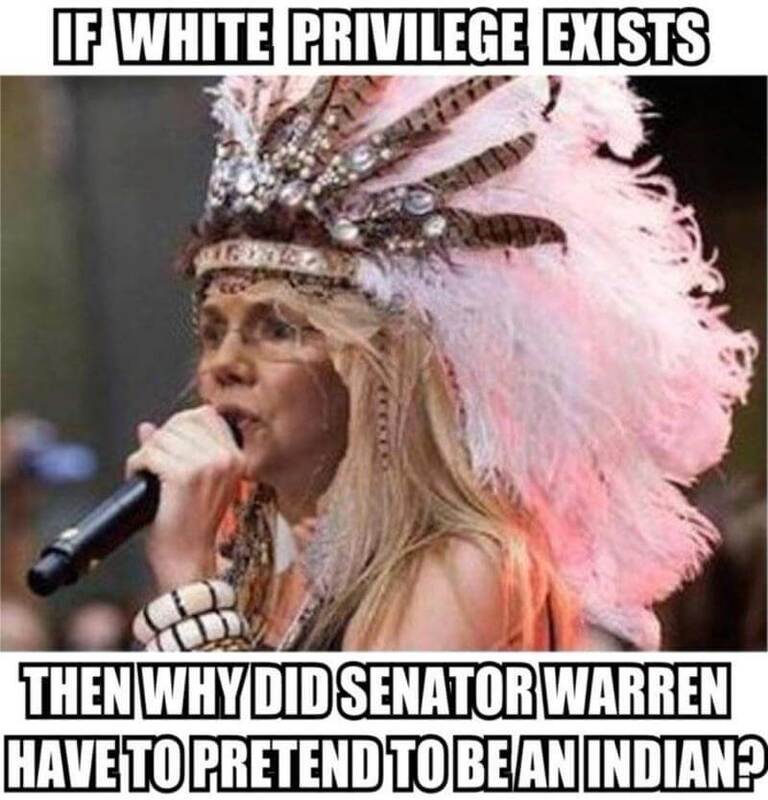 Yep.... blue eyed devil speak with forked tongue and pasty white... skin. Native American Supremacist— I call B.S. and “gon go get me a beer”. What boring crapola from this mental midget liar. Does that count include Jussie Smollett and other similar crimes? Aren’t white nationalists and white supremacists two different things? To me a white nationalist is a white person who puts country first. White supremacists are people like skin heads, KKK, etc. that think white people are better than the others. Isn’t this the same thing they do when they intentionally confuse illegal immigrants and legal immigrants? I thought they loved ISIS and Al-Queda just like they love Russia. How much are all these people getting paid under the table for spouting their mouths off like this? I think it is a legit question. Hey Crapahontus...you’re white, you’re an extremist. Not to mention a liar and seditious. A pathological liar who will say anything to get elected. All white people that vote for Trump are terrorist and support racism. Plus they all have guns so you know their bad. The Dems have played this card before. Some women are absolutely diabolical and insane in politics as they hide behind their V-card stoke very dangerous rhetoric. what the Jewish boogeyman was to the Nazis. Nazis were wise enough to pick a minority to demonize.